This longtime recipe, Brown Sugar Oatmeal Pie (also known as Amish Oatmeal Pie), is quite similar to everyone’s favorite, the Pecan Pie. As a matter of fact, this dessert has often been referred to as “Poor Man’s Pecan Pie” since the famed nut can run up your grocery bill, but oats are a fairly inexpensive item. Preheat the oven to 350 degrees and pull out your pie crust (if frozen) or line your pie dish with the refrigerated unbaked pie crust dough. In a large bowl, add in the 3 eggs and beat together. To that same bowl, whisk in both the brown and granulated sugar, oats, milk, vanilla, salt, cinnamon and butter. Stir till completely combined. *The mixture may seem a bit “loose”… that’s ok! Simply pour this mixture straight into the unbaked pie shell and transfer to the oven. Bake for 50-60 minutes or until pie is baked through..it won’t jiggle too much. 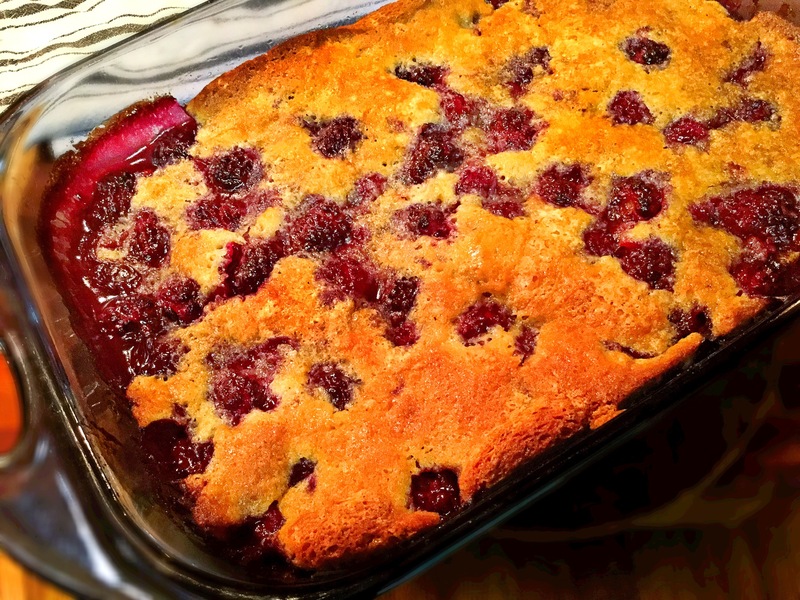 In the world of easy (yet impressive) desserts, the cobbler may just take the…umm..cake??. You know what I mean. It’s so delicious, so easy and insanely comforting. On these chilly winter nights, it’s so simple to whisk together a few on hand ingredients, fresh OR even frozen fruit and pop into the oven. Besides baking time, this MAY take you all of 10 minutes to prepare..c’mon, you know you can handle that! 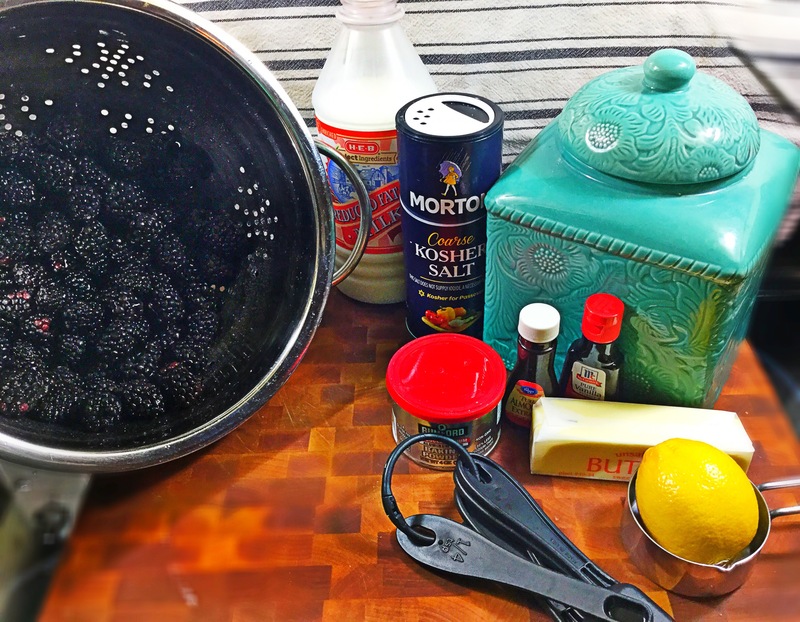 Finally, if you’re like myself, you’ll pour yourself a big old glass of spiked sweet tea along with this cobbler ala-mode-style and sit on your porch taking in the southern cool night..
Preheat your oven to 350 degrees and place the stick of butter into a 9×13 rectangular baking dish. While the oven is STILL preheating, transfer the dish to the oven, swirling it around once it starts to melt (watching so as not to burn). In a large bowl, combine the lemon zest and 1 cup of the sugar with the fruit. Toss to coat and set aside. *If using frozen fruit, allow to defrost, drain and pat dry any excess water. Next, remember to watch your baking dish and the melting butter, whisk together the flour, remaining cup of sugar, baking powder, vanilla/almond extract, milk and a pinch of salt in a separate large bowl. Remove the preheated buttered baking dish from the oven and pour in your batter. 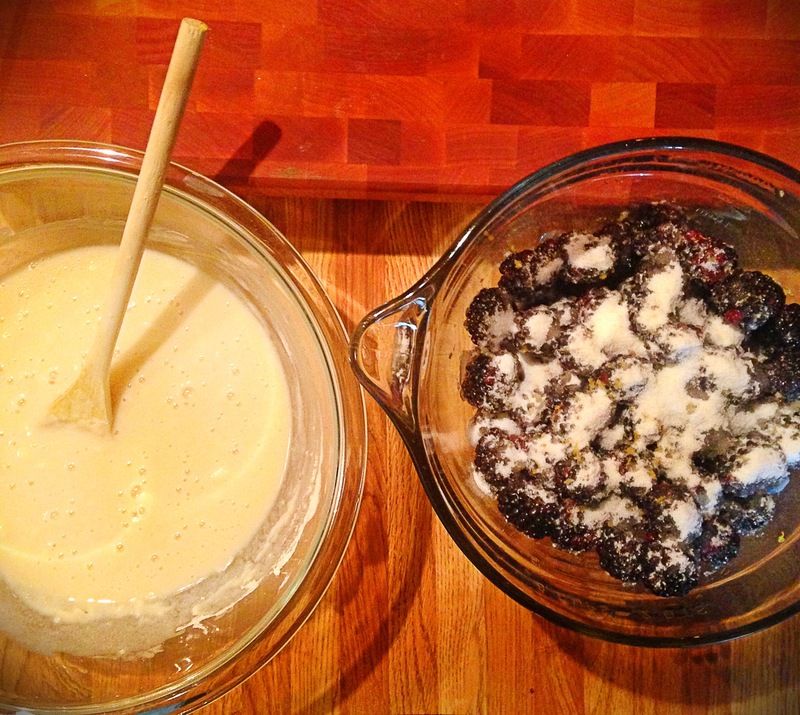 Top, fairly evenly, with the sugared blackberries overtop of the batter. *The batter will rise and bake around the fruit. Place back in the oven and cook for 50-60 minutes until a beautiful, slightly crunchy golden brown color is achieved. I prefer to bake mine a little on the longer side as I love the crunchy bits on the edges. Once time is up, remove from oven and serve warm with a scoop of vanilla ice cream, enjoy! !